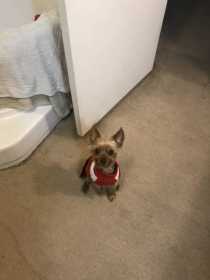 Boy yorkie, did not have on a collar and is not microchipped. Ran away 1/28/19 around 5:30pm. Please contact 979-229-5110 if found. His sweet owners really miss him.